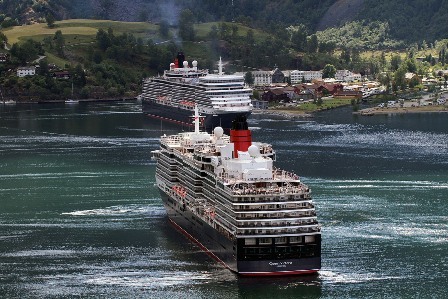 European cruises are now available in Cunard Line’s Big Balcony Event. Passengers who book select Cunard Line European voyages between July10-17 will receive free Balcony upgrades. The promotion is available on select European voyages sailing from Southampton, Venice, Athens and Rome on board Queen Elizabeth and Queen Victoria. In addition, special Single Occupancy fares from $1,349 are available on 12-day Mediterranean cruises aboard Queen Elizabeth. All voyage fares are per person, based on double occupancy, and exclude government fees and taxes. Fares for other dates will vary. Reference promo code R7F. For more information about Queen Victoria and Queen Elizabeth or to book a voyage, contact your Travel Agent, or call Cunard toll-free 1-800-728-6273 or visit www.cunard.com. Whether guests are celebrating a special occasion or searching for a relaxing adventure closer to home, Cunard Line’s Queen Victoria offers both as the ship reprises her Americas Season in late 2011 and early 2012, which includes updated itineraries through the Panama Canal and voyages to the tropical Hawaiian Islands. Fares start from $1,295 per person, based on double occupancy. 15-day Panama Canal Explorer (new) departs on 6 December 2011 and 30 January 2012 from Fort Lauderdale to Los Angeles, and sails from Los Angeles to Ft. Lauderdale on 4 January, with stops in Oranjestad (Aruba), Panama Canal transit, Puntarenas (Costa Rica), Puerto Quetzal (Guatemala), Huatulco (Mexico), Acapulco (Mexico) and Manzanillo (Mexico). Fares from $1,295 per person. 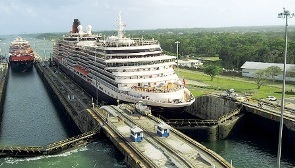 11-day Roundtrip Panama Canal departs from Fort Lauderdale on 19 January 2012, calling on Charlotte Amalie (St. Thomas), St. John’s (Antigua), St. George’s (Grenada), Bonaire (Netherlands Antilles) and a partial transit of the Panama Canal. Fares from $1,295 per person. 17-day Panama Canal Treasures departs 28 February 2012 from Los Angeles, calling on Manzanillo (Mexico), Acapulco (Mexico), Huatulco (Mexico), Puntarenas (Costa Rica), Panama Canal transit, Oranjestad (Aruba), Charlotte Amalie (St. Thomas) and New York. Fares from $2,095 per person. 14-day Hawaiian Adventure departs roundtrip from Los Angeles on 21 December 2011 and 14 February 2012, calling on Hilo (Hawaii), Honolulu (Oahu), Nawiliwili (Kauai) and Lahaina (Maui), as well as a quick visit to Ensenada (Mexico). Fares from $1,695 per person. All fares are based on double occupancy. The legacy of Cunard’s ocean liners lives on through Queen Victoria’s Americas Season, combining the brand’s legendary hallmarks with contemporary sophistication of the modern age to create a unique memorable voyage for each guest. Aboard Queen Victoria, guests can customize their itineraries according to their interests, with such activities as enjoying traditional afternoon tea served by white-gloved waiters, attending a stimulating Cunard Insights lecture, rejuvenating body and mind at the spa, dressing up for Royal Nights themed balls, sipping cocktails in one of the ship’s sophisticated bars and lounges, or simply relaxing poolside with a good book. 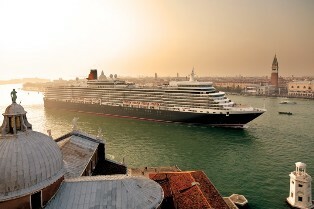 For more information about Queen Victoria or to book a voyage, consult your Travel Agent, call toll-free 1-800-7-CUNARD or go to www.cunard.com. Cunard Line, operator of the luxury ocean liners Queen Mary 2, Queen Victoria and Queen Elizabeth, has long been synonymous with the quest for new discoveries and the epitome of British refinement since the company’s first paddle-wheeled steamer, Britannia, crossed the Atlantic in 1840. “Cunard voyages bring together like-minded travellers who seek a civilised adventure and relish the Cunard hallmarks of impeccable White Star Service, gourmet dining and world-class entertainment.” Today, Cunard offers the only regularly scheduled Transatlantic liner service and continues the legacy of world cruising which it began in 1922. Cunard is a member of World’s Leading Cruise Lines, an alliance which also includes Carnival Cruise Lines, Holland America Line, Princess Cruises, Costa Cruises and Seabourn. Visit www.worldsleadingcruiselines.com.